Can you believe that thanksgiving is just 8 days away... so crazy how time flies..
3. 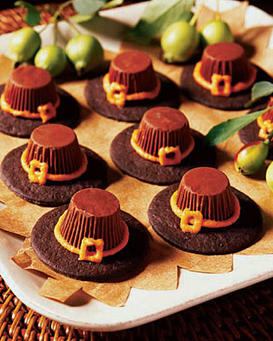 Using the round piping tip, pipe a "hat-band" with frosting around peanut butter cup and a square "buckle." Let frosting set before storing.